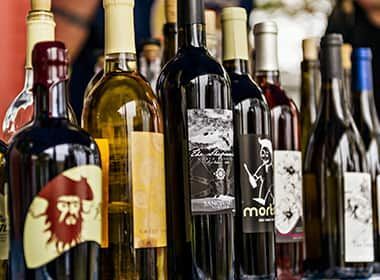 With more than 400 vineyards and 200 wineries in North Carolina, you’re sure to find a stop to savor. The perfect complement to your wine tasting? Food pairings, live music, wine festivals and more. Leave pretentious wine tasting notes and impenetrable jargon at the door. North Carolina tasting rooms welcome wine enthusiasts of every palate. And each winery is surrounded by scenic views as varied as the grapes you’ll find here, all with signature Southern hospitality included. So grab a glass, request a winery guide and plan your trip to discover North Carolina wine country – no sommelier required. High altitudes, twisting roads and cool nights lure adventurers to a region of North Carolina that’s home to four designated grape-growing regions. Home to three grape-growing regions including the Yadkin Valley, central North Carolina wineries range from Tuscan-style villas to llama farms. Welcome to the home of scuppernong grapes and muscadine wine paired with welcoming harbor towns and sprawling vineyards. Only regions home to distinctive climates, soil and elevations earn the prestigious designation of AVAs. North Carolina boasts five of them. When you sip in these regions, you know you’re experiencing something special to the spot you’re standing. 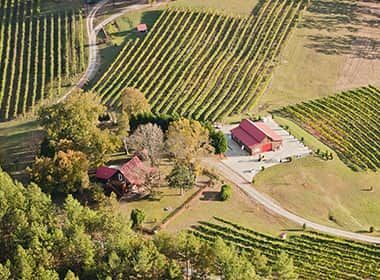 North Carolina is home to more than 525 vineyards and 185 wineries set amid scenic landscapes from the mountains to the coast. This is the only place in the world where every type of grape is grown, which means you’ll find a wine to please every palate here. 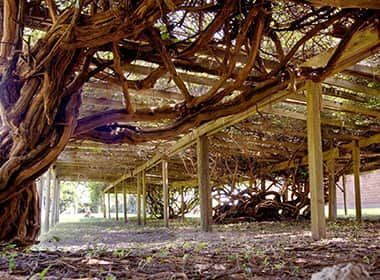 America’s oldest cultivated grapevine, the Mothervine, has been producing muscadine grapes since before its discovery on the North Carolina coast in 1584. The scuppernong is the official state fruit of North Carolina. 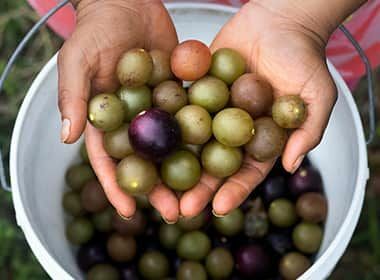 A type of muscadine grape, it's native to the Old North State and has the distinction of being the first varietal cultivated in the United States.